Comment: Water from all the homes on my street drains into my back yard. There is a creek that runs through my property. The city told me I could have the water drain into it. I was told that my yard could be graded for the water to run into the pond and that would be a better solution than putting in a French drain which would have to be replaced in approximately 7 years. Comment: I am looking to purchase 14 bushes of the following types: Ligustrum, Viburnum Chindo, or Anise that are between 4 and 5 feet. Please send me a quote. Thank you. Comment: Major House renovation / addition. Need to grade the entire side yard in prep for driveway and level out the back yard. Durham Landscaping Companies are rated 4.66 out of 5 based on 741 reviews of 31 pros. 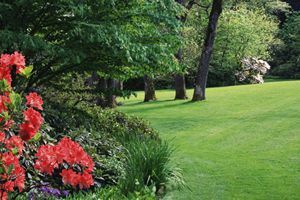 Not Looking for Landscaping Contractors in Durham, NC?